EAST LANSING, Mich. (AP) — Nick Ward made all 10 of his shots, scored a career-high 26 points and grabbed nine rebounds to lead No. 10 Michigan State to a 90-68 win over No. 18 Iowa on Monday night. The Hawkeyes (6-2, 0-2) had no hope for a comeback because they missed 18 of 19 shots to open the second half. 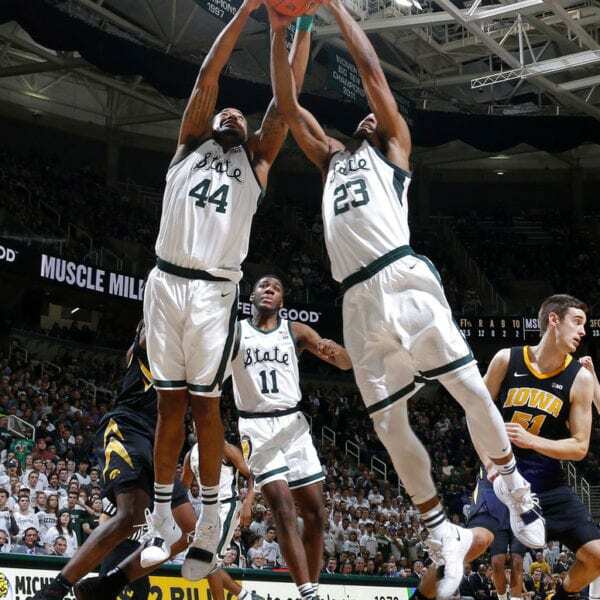 Michigan State’s Xavier Tillman scored a career-high 14 points and had eight rebounds off the bench. Nick Goins scored 19, surpassing his combined points from the previous five games, and Joshua Langford added 14 for the Spartans. 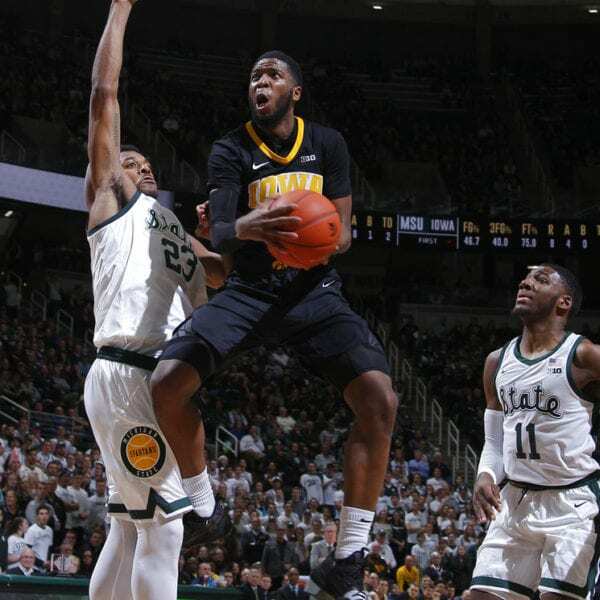 Iowa’s Tyler Cook scored 15 points, Isaiah Moss had 13 points and Jordan Bohannon added 11. Iowa: The Hawkeyes opened the season with six wins, including against then-No. 13 Oregon, but have opened the Big Ten season with two straight losses. They lost to No. 22 Wisconsin 72-66 in their conference opener. Iowa will need to regain some confidence soon. Michigan State slipped one spot in this week’s AP Top 25 and may have a chance to move up if teams ahead of it lose, and it beats Florida on the road. Iowa: Host rival Iowa State on Thursday night. Michigan State: Plays the Gators at Florida on Saturday. Be the first to comment on "Nick Ward Scores 26, No. 10 Michigan State Beats Iowa 90-68"